Being a parent means that you put your kids before yourself. While doing this, however, many completely lose track of paying attention to their personal needs and wants. It is important to have a good balance, and once you take care of yourself, you can also take better care of others. Fashion is incredibly important when you consider that it says a lot about the type of person you are. It is the first impression that you make when you enter a room, and therefore it defines you in a certain way. You can easily tell when a parent is put-together often based on what they wear. The information below is a how-to in order for parents to remain fashionable at all times, even while taking care of their little ones. Before even considering the fashion choices that you are making, you have to take care of your wellbeing. You cannot properly look out for others, even your kids, if you are letting your health slip by. It means that you must make sure to sleep enough, eat well, and exercise, among other practices. Given the fact that these also affect your mental health, the choices you make, and the fashion you choose, will also be dependent on how you feel. Your clothes say a lot about you, and you might as well embrace who you are in doing so. Once again, parents often lose track of this because they spend most of their time thinking about or taking care of their family. Remember who you were before kids, and do not lose sight of that person, as that is also a part of you. If you consider yourself to be a bright or cheerful person, you may gravitate towards warm and patterned clothes. On the other hand, shades of blue, green and purple have a more relaxing effect and wearing them could be interpreted as the fact that you are mellower. Trendy pieces do not last very long, but they often will give your entire look an edge it otherwise would not have. Not to mention, the popular items from a particular season are often fun to wear. Considering the long hours that you put into taking care of your family and at work, you deserve to treat yourself! The right clothes can also act as a motivating factor when you look in the mirror for you to tackle the day’s events. Items that will fit with your look no matter what time of year it is are also beneficial and will allow you to look fashionable without having to think too much about it. These include black or white t-shirts, a simple black dress, jeans, black shoes and so on. If you have none of these in your wardrobe, it’s time to take a quick shopping detour soon. Everyone has certain style necessities that they must include in their wardrobe. These include shopping for undergarments, but also items such as prescription glasses or sunglasses. In these cases, you can still be fashionable depending on the choices that you make. When it comes to glasses, you can purchase Lens Pure contacts in order to switch up your look, and therefore also be able to wear sunglasses with perfect vision. If the popular clothes are not your cup of tea, you should wear what makes you happy. It does not matter how different you think it looks from the norm because it will give you a unique look that no one else has. Moreover, your personal opinion on what you wear, and whether you like it or not, is more important than following what society or people should tell you to wear. As the saying goes: look good and feel good. You can never have too many accessories. They can truly change the look of an outfit with something as simple as adding big statement earrings to a plain white t-shirt and jeans look. The same applies to wearing a particular hat or even a scarf in a different or unique way. It is up to you on how you plan on accessorising, but not fashion statement is truly complete without it. Fashion is a form of creative expression, in the same way a picture on paper or music is. You are simply using yourself as the canvas when you choose what to wear and put on you. As a parent, you will not only look better but being creative will help you in every other aspect of your day-to-day. After all, it is said that creative people perform better at work, as they have an easier time thinking of new ideas, and you may even find it easier to do chores. You will all of a sudden be looking at the world through a new light, and you will never go back once you do. Given the fact that what you wear has such a big influence over your first impression, you can look incredibly well put-together because of it. After all, a parent that is often scattered and scrambling everywhere will not think much about the clothes that they put on. The benefits of having an overall look where everything is coordinated is not only good for your fashion but teaches you to reflect and think more carefully before doing something. 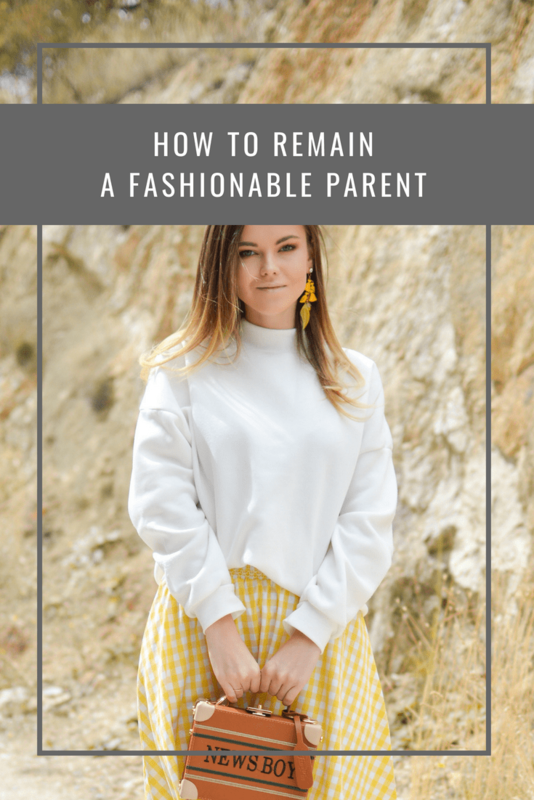 Although the life of a parent can get hectic and stressful, especially with younger children, you still need to look out for yourself, and use fashion as a way to both feel good, look good, and inspire your sense of creativity. 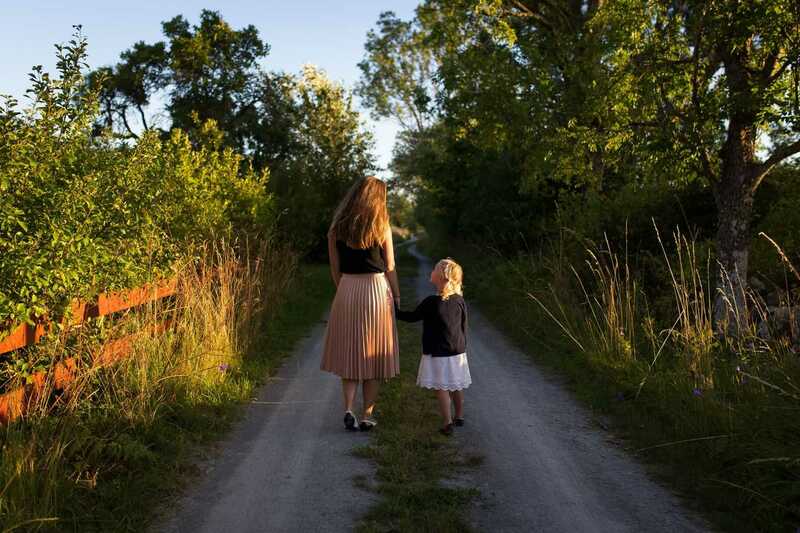 When you take that next step to watch over your own personal well being, your kids will also benefit, as your mind will be free to make the best possible choices and decisions. You will be an overall happier person as a result of it, and your looks will match your sentiments. Previous Post: « What are the different types of urinary incontinence?